President Donald Trump has put down his foot on illegal immigration into USA by increasing the salary slab to recruit a foreign worker into USA. 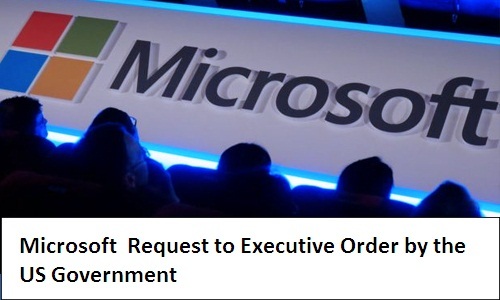 His recent barring on citizens from 7 countries Iraq, Iran, Libya, Syria, Somalia, Sudan and Yemen, has put many companies under pressure, Microsoft is the first one to react and request for exemption for its employees. Microsoft legal spokes man detailed that they are requesting the government to make exemption for their employees who were outside USA during the announcement and their need to travel back into USA to join their families. A special request was made to allow entry to people who are already visa holders with permits and who did not commit any crime and looking to travel for 2 weeks and not to and from the courtiers which are named for work purpose. Their argument is based on the roles which are already in the national interest and on a pursuit of work or education and these people must have blanket coverage on them from the existing orders.